Strictly limited to a mintage of just 3,000! Notable for its 'Kangaroo Paw' Privymark. Struck by the Royal Australian Mint to Uncirculated quality! Stuart Devlin's iconic 'Mob of Roos' $1 coin design has been a part of Australian currency for decades. The 2019-dated Perth Money Expo release carries the privymark of Western Australia’s floral emblem - The Red and Green Kangaroo Paw. 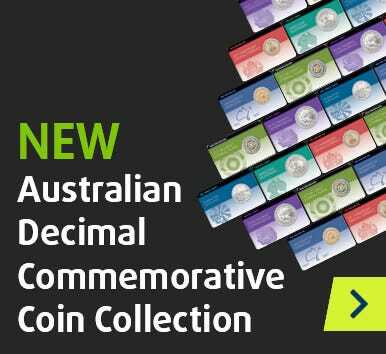 Struck by the Royal Australian Mint to uncirculated quality this coin comes in an official pack with mintage of only 3,000 coins.